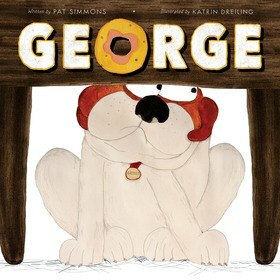 Pat Simmons is a writer of poetry, short stories, flash fiction and picture books for children. She lives in Scarborough on the NSW South Coast with her menagerie of dogs, cats and assorted mini beasts. Her formal qualifications include a Bachelor degree in Children’s Services and an Advanced Diploma in Community Service Management. She has worked with children in a variety of child care and museum settings and has also taught child studies at TAFE. Her poetry and short stories have been published in anthologies and children’s literary magazines including NSW School Magazine, Alphabet Soup and Looking Glass Magazine. She has won writer competitions in Australia and the UK. Her first picture book, Ziggy’s Zoo, was published by Little Pink Dog Books in 2018. Pat enjoys sharing her fascination with the world of mini beasts through her writing. 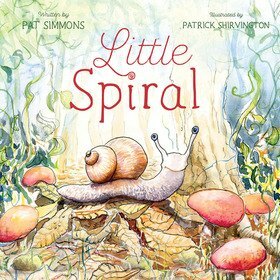 Little Spiral was inspired by her concern for the endangered Mitchell’s Rainforest snail.